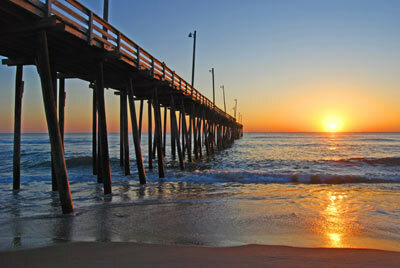 There are a lot of great fishing piers along the North Carolina coast, from Avalon Pier in Kill Devil Hills, to the Bogue Inlet Pier in Emerald Isle, and all the way south to Sunset Beach Pier near Cape Fear. Each of these wonderful piers can be a perfect place to spend a sunny afternoon and almost all of them have times where you will get strikes before your sinker hits the bottom. The only trick is being in the right place at the right time. Our pier fishing reports can keep you up to date with the lastest catches, baits, and rigs so that you not only have a nice day along the coast, but also go home with a cooler full of fish. While we are still looking for fishing reports from some of the smaller NC piers, below are some fishing reports from some of the larger piers and a few forums where you can find NC pier fishing reports for just about everywhere. Please drop us a line if you see a good pier report we are missing. If you are just visiting or are looking for a new pier to explore, check out our list of all North Carolina fishing piers by region.